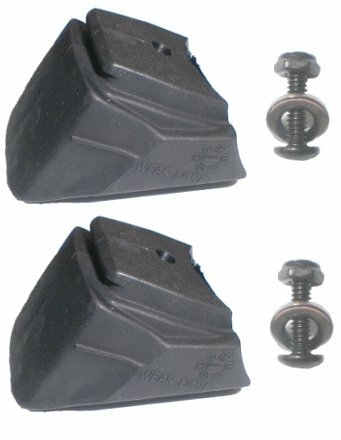 Spare brakepad for Rollerblade-skates. Fits almost all newer Rollerblade models. Set with 2 brakepads included. Also fits on Spitfire & Igniter brake arms. This brakepad is not for the older ABT brake models (ABT1 and ABT2). Notice: Users have experience that this brakepad will fit Salomon Inline skates. As Salomon inline skates are no longer available, using this brakepad is a suggestion. SkatePro cannot guarantee that the ABT Lite brakepad will fit all Salomon inline skates. Exactly what we needed. Quick delivery. I'll be using you again. A good brake for my Twister 80 inline skates.